We produce innovative photovoltaic modules, with unmistakable design like our Trienergia System. Our goal is to provide state-of-the-art energy solutions Made in Italy. The modules are produced entirely in Italy, in our new factory in the province of Mantua, using only first-class components, coming mainly from the EU. 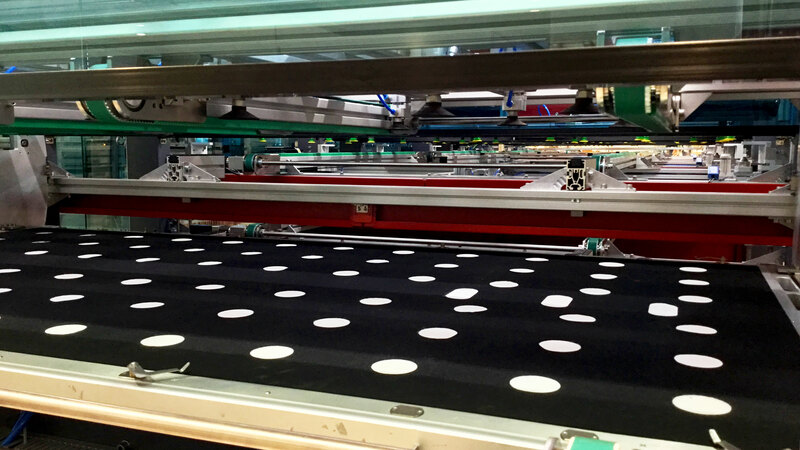 The production line is fully automated and has an annual production capacity of 24MW. MWT Back-contact technology is the latest and promising technology for photovoltaic cells: it offers maximum efficiency (up to 20% of module efficiency) and greater reliability than standard cell technology (mono or poles) thanks to the elimination of ribbon-less technology. The modules are aesthetically perfect and Full Black (black cells, back-sheets and frames). Three different solutions (60 cells, 42 cells and 21 cells) are produced and the innovative Trienergia solution, consisting of triangular and rectangular models (Trienergia System) that allows up to 50% more power installed on triangular roofs, providing the perfect solution. Renewables systems are the solution to the future of our planet. A well-established Brand and experience for a refurbished brand . The Trienergia brand has been present on the national and international market since 2008, as part of the Coenergia group, a leader in the distribution of photovoltaic and renewable energy. 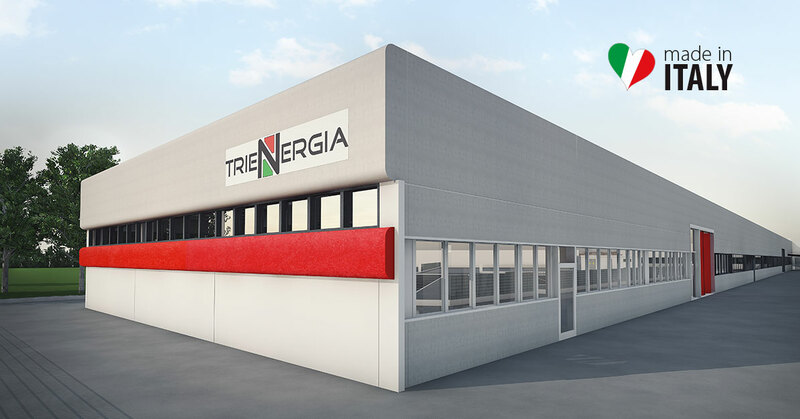 Contrary to other European companies, Trienergia has become totally independent, and since 2017 it has been a 100% Italian photovoltaic manufacturer, with its new production headquarters in the strategic center in the province of Mantua. Trienergia has a decade-long experience in renewable energy and is deeply acquainted with this market. It is thanks to this consolidated background, which is a reliable and innovative manufacturer, with a range of state-of-the-art photovoltaic products that respond to the technical and design needs of today's market. Over the last few years the renewable energy market has undergone major fluctuations and one of the problems encountered is the difficulty of supplying photovoltaic modules, which does not always meet the timing requirements of customers. Trienergia, thanks to the highly automated plant in the province of Mantua, is able to cope with customer needs with a supply of constant and easily programmable photovoltaic modules. Made in Italy for us at Trienergia means to make a difference, it is to be proud to carry on a tradition of excellence: in the photovoltaic and renewable energy market, we want to be a reference point in terms of quality, innovative solutions and also of beauty; installing a photovoltaic plant is to give your home a value added both in ecological terms and in productive power but also in aesthetic value.